View More In Tool Kits. 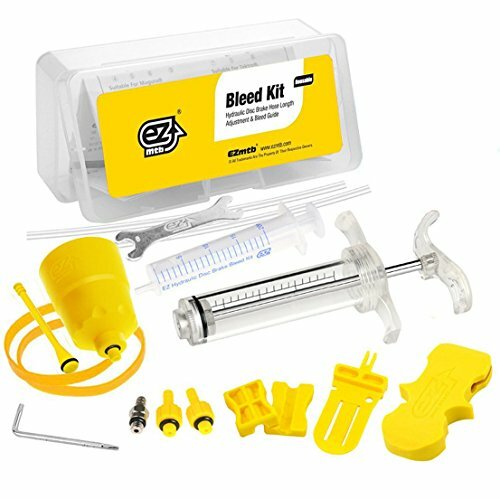 ● One Upgraded Anti-corrosion Syringe, for Multiple Time Bleeding. ● Making Bleeding to one Easy Job. ● Adapters works for Shimano brake system using Mineral Oil. ★ Making Bleeding to One Easy Job. ★ Brake Bleeder Works for Shimano Brake System Using Mineral Oil. ★ Compatible with Most Shimano Brake Systems Including Deore, SLX, XT and XTR. If you have any questions about this product by Revmega, contact us by completing and submitting the form below. If you are looking for a specif part number, please include it with your message.